AKA the brick wall of language learning: if you bang your head against it for long enough, you’ll start to break it down – but it hurts. As a beginner, if you only know 10 words, learning 10 more feels like a big win. But if you learn 10 new words when you already know 1000… meh. You notice a dip in your progress as every new word or grammar point feels like a drop in the big language ocean. And as you’re not seeing as much progress as before, your motivation starts to wane. First, you’ll need some expensive software, lots of long vocabulary lists and a one way ticket to the country where the language is spoken. Now throw all of that away and just keep doing what you’re already doing. I’m not good with fancy language learning techniques: I don’t know any one-size-fits all shortcuts and I can’t help you memorise 2000 words in 10 days while you sleep. But I do know that if you stick with it, you’ll get there. The only way to get past intermediate level, then, is to not quit. And while there are no magic remedies, there are some important steps you can take to speed things up and make the process more enjoyable. Here are 7 (almost) painless ways to push through the intermediate plateau. At the end, I’ll tell you how I’ll be integrating these ideas into my own language learning in March. 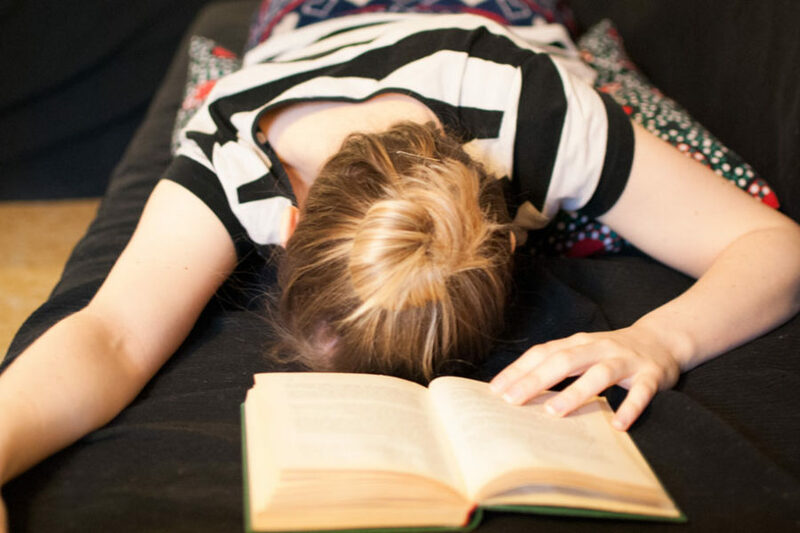 One sure-fire way to slow down learning is doing stuff that bores you. Our brains like novelty: we remember things more easily when we experience them in new contexts. So if the idea of studying gives you the yawns, it’s time to try something new. The beauty of language learning is that there are so many ways to achieve the same result. Try a new book, follow a recipe in your target language, watch a TedTalk, listen to a podcast or meet a native speaker in the pub for a language exchange. I get bored quickly and I’m always on the lookout for new textbooks, TV series, YouTube videos etc. to keep things interesting. That said, I’ve got a few learning rituals that I try to keep constant because I know they work for me. Depending on the language, this might be my study time, the way I remember vocabulary or my lessons with online tutors. At intermediate level you can (and should) start using materials for native speakers. This makes life a lot more interesting as you can finally move on from “the book is on the table” to real and interesting content. 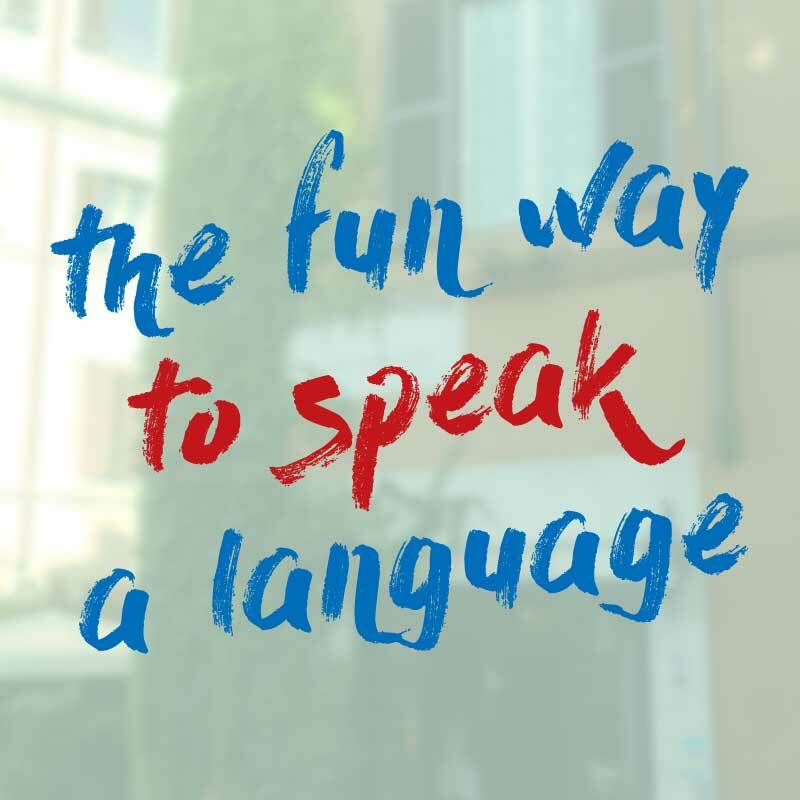 Choose something you enjoy doing in your native language: reading sports news, photography blogs, video games, soap operas – whatever floats your boat – and look for ways to do it in the language you’re learning. It takes time to look up new words and get used to the sentence structures, so if you don’t care about what it says in the first place, you’ll get bored. Quick tip: if you’re using blogs, try the google translate add-on to translate words directly on the webpage. There might be something that you never feel doing, but you know it will help you get to the next level. For lots of people (including me! ), it’s anything that feels like school, such as learning grammar rules. Try starting with a very small goal, like 10 minutes. Once you’ve started, you’ll often find it wasn’t as bad as you thought and you’ll be happy to keep going for a little longer. At intermediate level, progress is an accumulation of lots of little steps: it’s difficult to notice improvement from one day to the next. But if you look at your language skills over a longer period of time, you’ll realise just how far you’ve come. Recording a video or audio file once every few months is a great way to track your progress over time. When you were a beginner, you’d have been really excited at the idea of reaching intermediate level. Now you’re here and you’re beating yourself up about not being advanced yet. It’s human nature: as soon as we reach one goal, instead of celebrating, we move the goal post. Stop beating yourself about not being further ahead and start celebrating how far you’ve come. Did you know that Buddha was a polyglot? Actually I just made that up. But his dedication to the present moment would have made him an excellent language learner. It takes time to learn a language: if you view the process as something you have to “white-knuckle” until you get to advanced level, you’re going to make yourself miserable in the meantime. Instead of looking at the big gap between where you are now and where you want to be, focus on each step that moves you on a little from your current level. Find things you enjoy, focus on the task in hand and the learning will take care of itself. Those were my 7 keys to push through the intermediate plateau. Next, I’m going to tell you how I plan to apply these ideas to my own language learning in March. I’m currently doing the Add1Challenge for Mandarin: I’m trying to learn as much as possible in 3 months so I can have a 15 minute conversation with a native speaker on day 90. Here’s my day 60 update. – Keep working through the Pimsleur and Assimil courses: I’m almost done with the Pimsleur course, but I need to get a move on with Assimil if I want to get through it before the challenge finishes. – Read 1 graded reader story per week: I managed 3 weeks out of 4, so I’m happy with that. – Translate videos on fluentu: I aimed to translate one video per week from Chinese into English and back again. The videos were short, so I managed this without too much trouble. – Have 3 conversation lessons per week with a native speaker on italki. I really enjoy chatting to my conversation tutors, so I met this target easily. As I write this, there are only 10 days left until the end of my challenge – eek! Day 90 is approaching fast and I need to knuckle down, but I’m getting bored of following such a structured routine. For the last 10 days, I’m going to shake it up by creating an immersion environment at home. 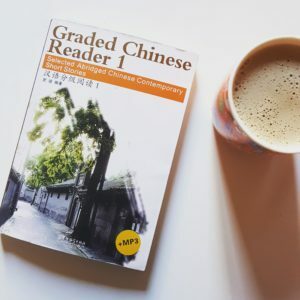 This means when I’m not working or socialising, I’ll immerse myself in Chinese by listening to podcasts, reading, watching videos or chatting to native speakers online. No structure, no routine, just whatever I feel like doing, whenever I feel like doing it. I try to study German for an hour a day, most days. It’s one of my little language rituals that’s been working out well for me over the last year. Recently I’ve been feeling a bit lazy so my daily German practice has turned into 60 minutes of German TV. It’s certainly better than nothing and I feel like my listening’s improving, but I know I could make more progress if I learned bits of grammar here and there. In March I’m going to try and squeeze in 10 minutes of grammar per day. With the exception of German, I’m going to ease off my other languages in the first part of March so I can focus on my Chinese immersion. I’ve got a big pile of Italian books by my bed that I want to work my way through this year. I’m not doing very well with this so far as I’ve been trying to read in bed and I’m one of those people who conks out as soon as their head hits the pillow. I’m going to try and make some time for reading in the day and see if this helps. 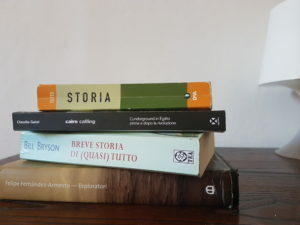 In January and February I aimed to work on my Italian pronunciation for 10 minutes per day, but for some reason, I’m finding it hard to sit down and get started. Perhaps I’m not very motivated because the methods feel a little too much like hard work. In the rest of March, I’m going to look for more enjoyable ways to work on my Italian pronunciation. In February, I translated a 3 minute dialogue per week into English and back into French/Spanish. I find this technique super useful, but but I’m starting to get a little bored. I’ll probably come back to it at some point in the future but I’m going to take a little break for now. So for the last 2 weeks in March I’ll focus on stuff I really enjoy, like watching TV or listening to audiobooks. I also aimed to learn 5 words per day, which I didn’t manage. I’m going to take it down to 15 words per week to give myself a more achievable target (I can always do more if I feel like it). Finally, to keep improving, I feel like I should be doing a little grammar, so I’m going to try and do 10 minutes a day in both languages. Do you hit a language wall sometimes? How do you get over it? Let us know in the comments below!